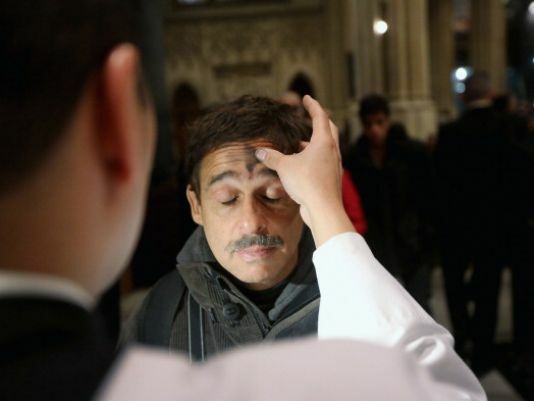 On Ash Wednesday in downtown New York City, everyone who is even remotely Catholic turns up to get his ashes. For a time, I lived and helped out at a church near Times Square. The pastor was an enterprising little Asian priest who knew how to get things done, especially on Ash Wednesday. With his army of volunteers, he transformed the church basement into a prime location for getting ashes New York-style: in-and-out in five minutes. With equally New York-like mercantile savvy, he provided ash-getters plenty of opportunities to spend their money for a good cause by setting up an easily accessible religious book shop. 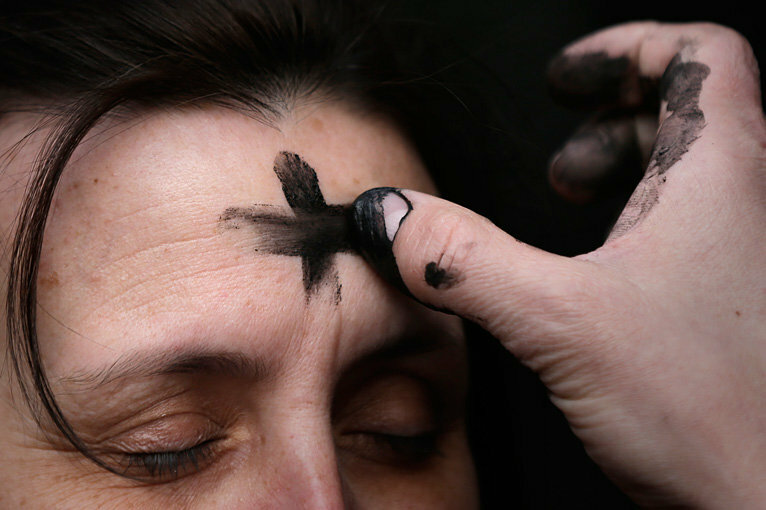 Our pastor’s keen business sense was complimented by an even keener awareness of the opportunity that Ash Wednesday provided for conversion and repentance. He had a special area set up for prayer in front of the Eucharist and he strategically placed priests in locations where they could be easily approached for advice or for confession. About midway through the morning, as my ash-covered thumb was just beginning to ache, two guys got into line; the older of the two was probably in his late 40’s or early 50’s with a frank look and callous-covered hands, the type of burly New Yorker that you would find working hard at a construction site. Following behind him was a bling-adorned, younger man in his twenties who was making it loud and clear that he did not want to be in church. The older guy told him to shut-up and get his ashes. I gave both of them ashes, giving the younger a smile and pat on the shoulder. As the older guy went to buy a raffle ticket at the book shop, I noticed the younger one hanging close by me. Thinking that he may want to talk, I left my confrere to handle the line (which, thankfully, had died down) and went to chat. Just a quick glance was enough to know that this was a street-hardened kid: his young face was worn with premature suffering, and deep black bags flanked his crooked nose. A diamond-studded cross hung on a gold chain against the background of an obscenely designed t-shirt, while an expensive leather jacket and sagging baggy pants convincingly completed his gangster-look. His eyes constantly wandered, shooting from place to another with suspicious unease. I broke the ice with a light comment, and asked him where he was from. He responded that he was from Queens and told me that the only reason he was in church was because his friend forced him. Despite his tough-guy aura, I could tell that he wanted to talk, so I asked him more about himself. He slowly opened up and began to tell me his life story. What he had to say astonished me. “My mom and dad were the streets,” was one of the first things he said about himself. 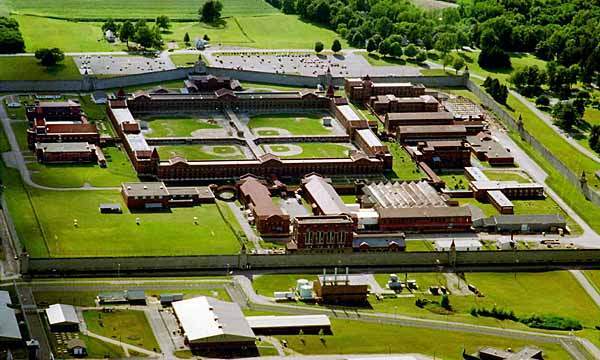 His real father was doing life at Attica and his real mother was hopelessly addicted to crack. He grew up in the projects, and, as a young boy, saw things no kid should ever have to see, the worst of which was the violent death of his brother whom he saw be executed by a rival gang. I will not go into the details that he shared with me, but you can only imagine the horror of such a traumatic event. Deprived of his only real guardian and guide, he eventually joined a gang himself and started dealing drugs. The police caught him, and he went to prison for five years. During this time, his only consolation was his wife who remained amazingly faithful to him, despite the fact that he had had a kid with another woman. Every month of his incarceration, she traveled a total of 12 hours on bus to visit him for one. She waited five long years for him. When he finally got out, they had only a few weeks together before she was tragically killed by a drunk driver shortly before Christmas. She had just given her husband a present. He finally brought himself to open it three weeks later – it was a diamond-studded cross. He looked at me with tears welling in his eyes and told me that he had been so devastated by his wife’s death that he tried to kill himself. “What does it mean when you shoot yourself and the bullet jams?” he asked. For the first time in the entire conversation, our eyes met. We ended up talking for well over an hour, and I could sense that the Holy Spirit was at work. The young man began to settle down, his eyes averted mine less and less, and his expression became calmer. 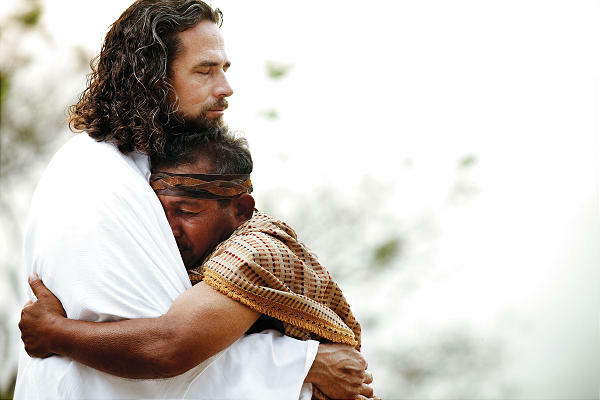 I encouraged him to keep coming back to church, to allow Christ to be a part of his life. He told me that he would. We live in a hurting world, so it is likely that we will have encounters like this with broken and suffering people. We must look at those people with the eyes of Christ and strive to allow Our Lord to work through us. Sometimes, all it takes is a smile or a pat to initiate a conversation that could change a life forever. Wow. What a powerful story. It made me cry.